The purpose of the Nurse Practitioner/Physician Assistant position is to assess, diagnose, treat and manage both acute and chronic health conditions as well as health promotion in accordance with State and Federal Rules & Regulations. Extended clinic hours are Monday-Friday from 5 PM to 9 PM and Saturday and Sunday from 9 AM to 3 PM. Advanced Practice RN or Certified Physician Assistant. 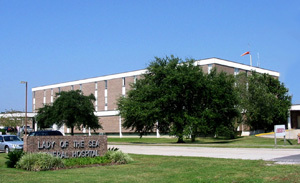 Licensed by the Board of Nursing in the State of Louisiana or Louisiana State Borad of Medical Examiners. Willingness to work with people regardless of condition(s) which may be difficult to deal with. Employee will be lifting and carrying up to 10 pounds approximately 15% of the day. Employee will be sitting approximately 20% of the day. Employee will be standing and walking approximately 40% of the day. Employee will be twisting, climbing, kneeling, stooping, and bending approximately 15% of the day. Employee will be reaching at or above shoulder level approximately 10% of the day.